If you’re going to San-Fran-Cisco, be sure to wear some flowers in your hair... Just make sure that you don’t take any nasty plastic water bottles with you, because sashaying around with one on those environmentally-hazardous bottles in your hand could be one of the biggest social faux pas that you could commit in the City by the Bay. Because the city’s Board of Supervisors – thankfully – is waging war on plastic water bottles. The San Francisco Board of Supervisors has voted unanimously to support groundbreaking legislation to phase out the sale and distribution of plastic bottled water on municipal property. This applies to events, vendors and lease holders on San Francisco property, as well as city departments themselves. That means no more plastic water bottles at music festivals; no more plastic water bottles in businesses that lease property from the city; and no plastic water bottles at City Hall. The environmental impact of plastic water bottles is enormous, and given that San Franciscans can access clean and inexpensive Hetch Hetchy Valley water out of their taps, city officials believe that they need to wean themselves off their addiction to plastic water bottles. In San Francisco, the Recology recycling organization collects 10-15 million single-use plastic water bottles a year – and this doesn’t include the bottles that go to redemption centres or landfill. It is likely that tens of millions of single use water bottles from San Francisco end up in the recycling stream or landfill sites each year. These plastic bottles never biodegrade. Instead they become part of the food chain as they break apart and are eaten by fish and other species. Under the proposal, initially only events that have access to adequate on-site water would be required to comply, but all events on city property will fall under the ordinance on October 1, 2016. Foot races and other sporting events are excluded. Additionally, new permits and leases on city property will have to include language prohibiting the sale of bottled water at their establishments. Waivers will be granted to events and lease holders under certain circumstances, such matters of public health or safety. The legislation also requires the city government to take action to increase access to water in public places. Where feasible, it requires that drinking fountains, filling stations and hook-ups for events be installed in public parks and plazas. The city is also to investigate solutions that would allow events to hook-up to the municipal water infrastructure. 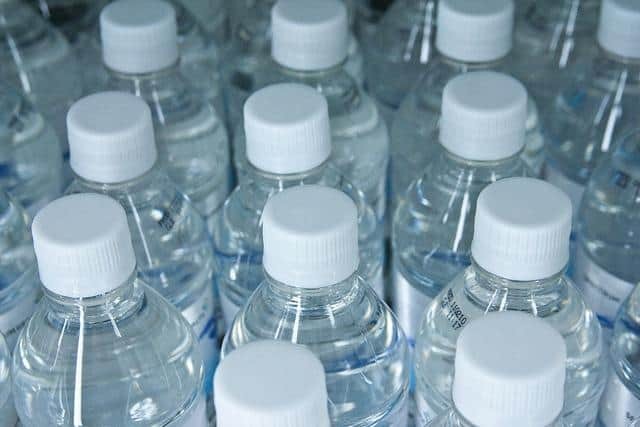 Furthermore, city departments would no longer be allowed to purchase plastic bottled water with city funds.